A great place to start when planning your event. More than just tents… we carry ceiling liners, tables, chairs, lighting & sound systems, flooring, pipe & drape, portable bars and more. Want to have your dream wedding? 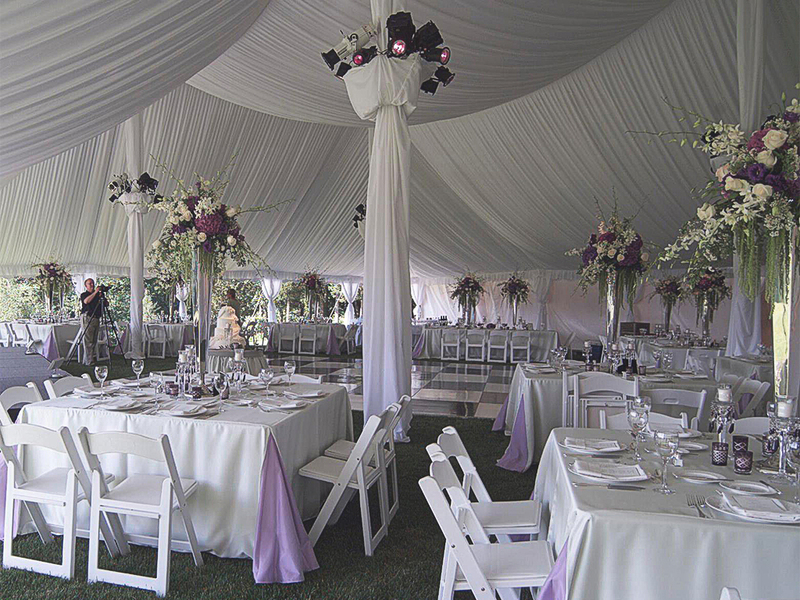 Burke’s Tent Rentals has everything you need to make your wedding event a success. 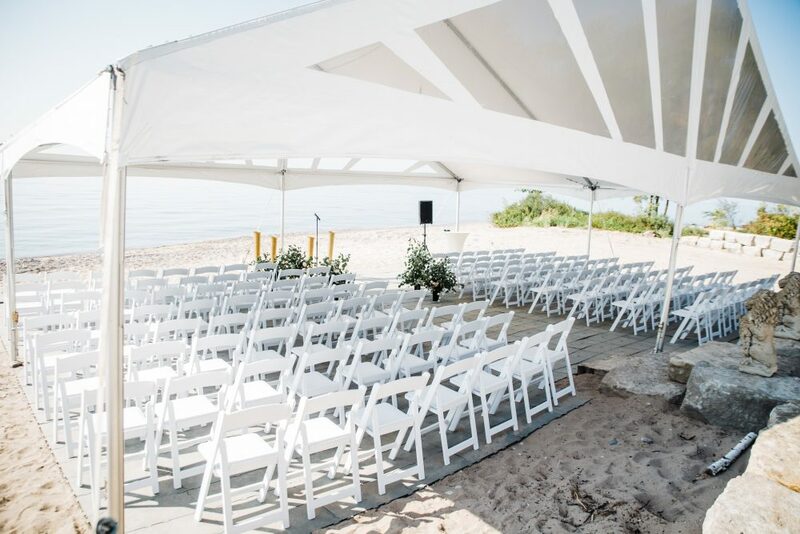 We can provide rentals for ceremonies, receptions, stag & does, showers, and rehearsal parties. We’ve got you covered! Hosting a grand opening, tent-sale, birthday party, anniversary, or other outdoor event? We can guarantee a safe place out of the elements for your guests. 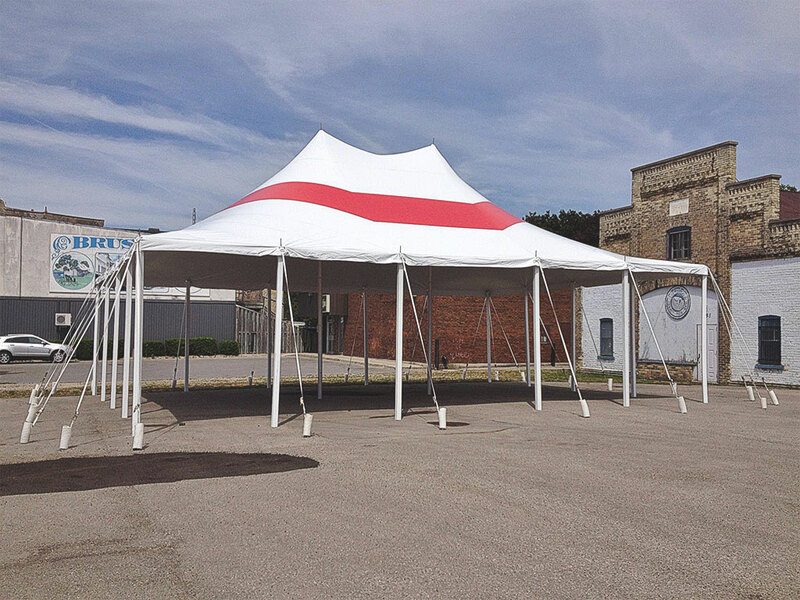 With 15 years of experience you can depend on Burke’s Tent Rentals to deliver on time and on budget at your event. 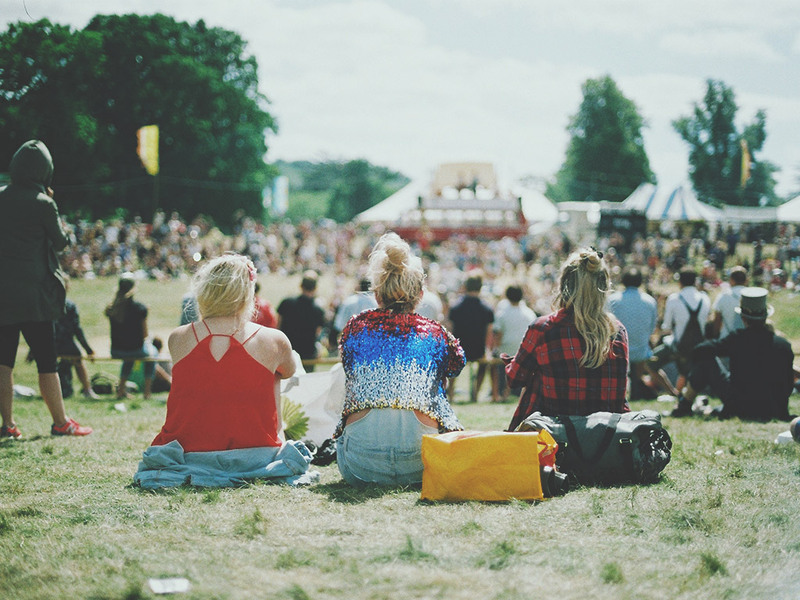 We can suitable tents for festivals and fairs, sporting events, fundraisers, and concerts. 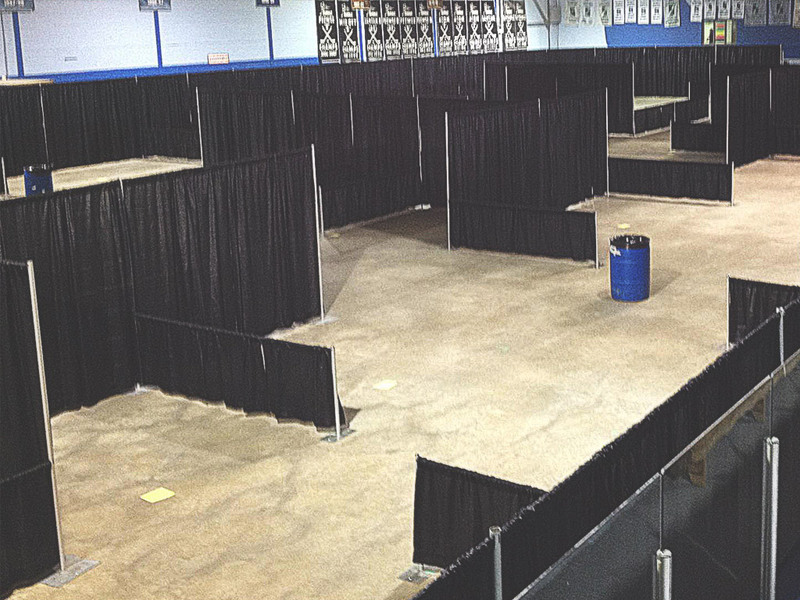 Whether it’s a Home Show, Bridal Show, Sports & Leisure Show, or Business Expo, we have the equipment and expertise to make sure you look professional. We’ve got the right accessories to complement your event! 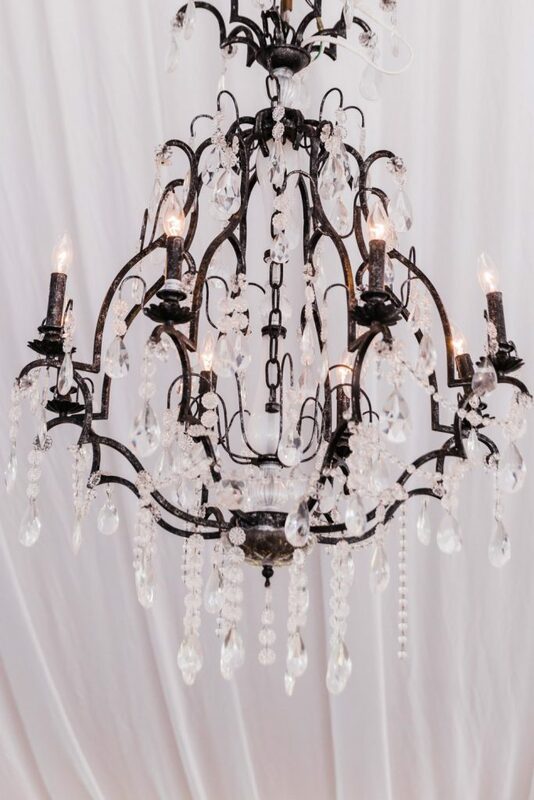 Chairs, linen, drapes, inflatable furniture sets, bars, lighting, dance floors… we’ve got what you need. Words cannot express how appreciative we are for everything you've done for our wedding. It was a dream come true with your continuous help and creativity. We have great peace of mind with your installations. I remember last year, when I called you at 7:00 am that you were already in your truck, and on the way to help us out. It's nice to know we have that support behind us. Thank you for making our wedding day so perfect. The tent and ceiling liner were truly the talk of the town! It was great to work with you as you made it so easy! Just a quick note to let you know everything was great on Saturday! We were very happy with the tent and other rentals. It rained very hard during the evening but nothing on the inside. Everything was clean, on time and perfect for the wedding! Thanks to all of you for a job well done! The Waterloo Region Community Office of the Canadian Cancer Society is a loyal customer of Burke's Tent Rentals for our Relay For Life events in Waterloo Region. The staff at Burke's are friendly and a pleasure to work with, accommodating and very helpful. We can always trust that tents from Burke's will not only be set up when and where we need but that they will look great too! Fantastic! Tom thanks so much for these pictures and, of course for your spectacular work on the weekend. The next gig in Toronto?... I can assure you you'll get an rfp. When I told you some suppliers don't hold a candle to you and your team... I meant it. Just a short note to say how much our club appreciates the great service that Burke's Tent Rentals has provided for us over the past three years. You don't just come and set up the tents and pick them up after the event. You've always helped with the pre-planning of our events, and offered suggestions that would either enhance our event, or save our club money. Your customer service exceeded our expectations. 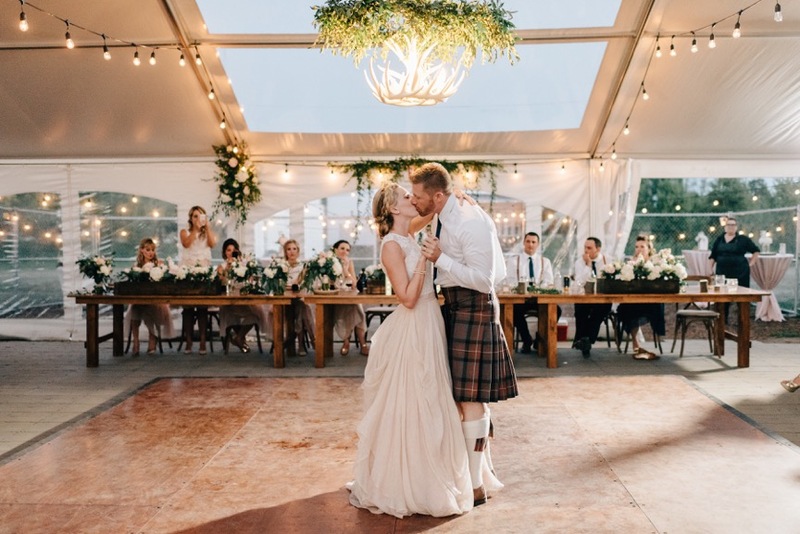 From the beginning of planning a year before the wedding to the biggest last minute requests during the week of set up, your office and onsite staff took care of everything. You are true professionals and we highly recommend your services to everyone! Thank you for helping to make our wedding so special. The tent was beautiful and the set up crew were very friendly and helpful.